Lamorinda Village is a nonprofit 501(c)(3) organization made up of residents from Lafayette, Moraga, and Orinda, California, USA. It's easy to become a Village member! 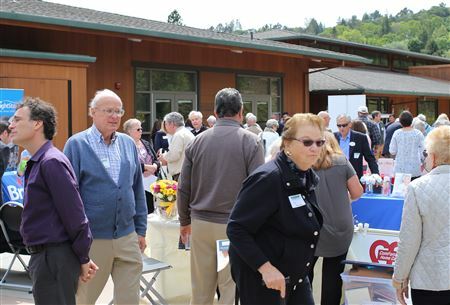 Lamorinda Village is a community of people who are committed to supporting each other in living full, vibrant lives as they age. We welcome your interest and ask that you read the following criteria for membership to see if Lamorinda Village is a good fit for you. Please consider this carefully and if you have any questions please call us at 925-283-3500. Must be resident within our service area: Lafayette, Moraga, and Orinda. Capable of living independently with long-term services and support. Current relationship with a medical provider. No known major cognitive impairments, such as dementia, unless the individual is living with a partner who can provide the necessary care. Able to provide emergency contact information for family, friends, or others. Step 1 - Download, print and complete the Membership Application. Step 2 - You will be invited to meet with our Executive Director and a Board member, to answer any questions, and to sign your Membership Agreement. You may pay your membership fee at that time.